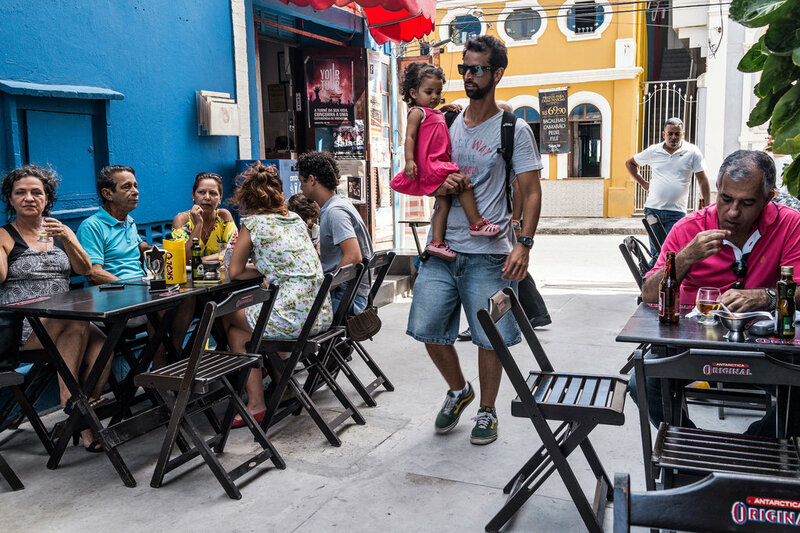 The Rio Vermelho district in Salvador has retained its bohemian beach vibe, even as the skyline of the city, the capital of the state of Bahia, has soared with glittering, cliff-top skyscrapers. The area has been a place of cultural encounters since at least the early 1500s, when thePortuguese castaway Diogo Álvares is said to have washed up here, settled among the indigenous Tupinambá people and married the daughter of a chief, an early union that hasbeen celebrated in poetry, film and even a Carnival march. 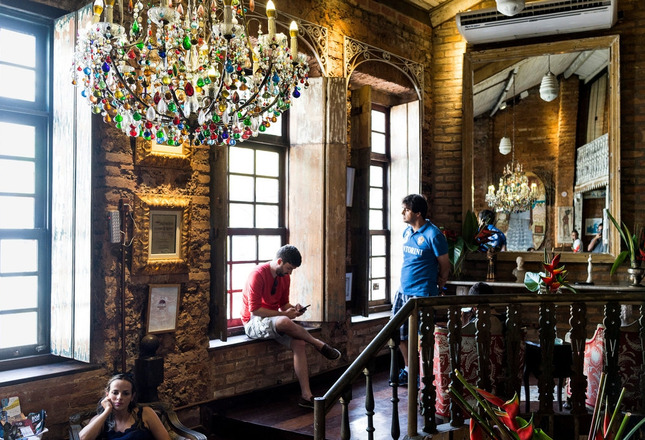 Today, Rio Vermelho has emerged as Salvador’s trendiest neighborhood, thanks to its cobblestone streets, plentiful beaches (some used mainly by small-craft fishermen) and an abundance of stylish hotels, music venues, art spaces and restaurants. Black wooden folding chairs and tables line the pedestrian alley outside this longtime bistro-style spot that serves a delicious steak in thick pepper sauce and a salmon fillet laid over candy-sweet slices of mango. 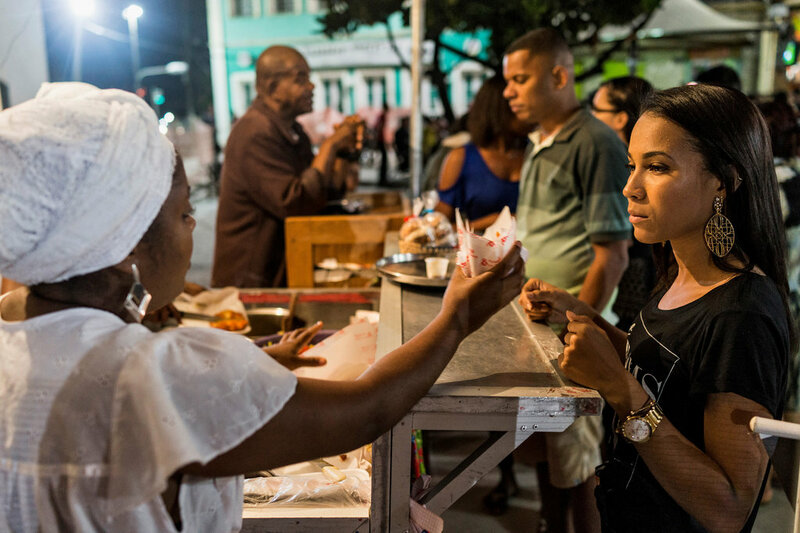 This tent facing the ocean on Santana Plaza serves some of the city’s best acarajé, an Afro-Brazilian street food made from balls of mashed black- eyed peas that are stuffed with spicy sauce and salty shrimp. Crowds line up for the dish, then retire to open-air cafe tables to order cold bottles of lager. Opened last year, this boldly painted four-story building hosts edgy artistic endeavors including live music, art exhibits, films, theater, even a tiny headwear store heavy on top hats. 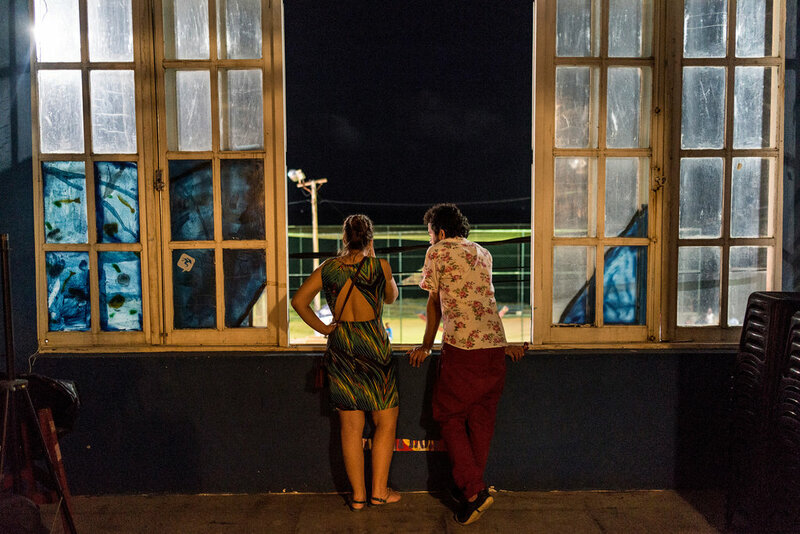 On the fourth floor, a wine bar specializing in South American bottles opens onto a deck with a full view of the Atlantic. In this three-year-old restaurant, the regional celebrity chef Tereza Paim uses local ingredients to prepare inspired versions of Bahian dishes such as seafood moqueca, a rich stew that arrives at the table bubbling in a cast-iron bowl overflowing with lobster, shrimp and fish and topped with cilantro and bright red peppers. 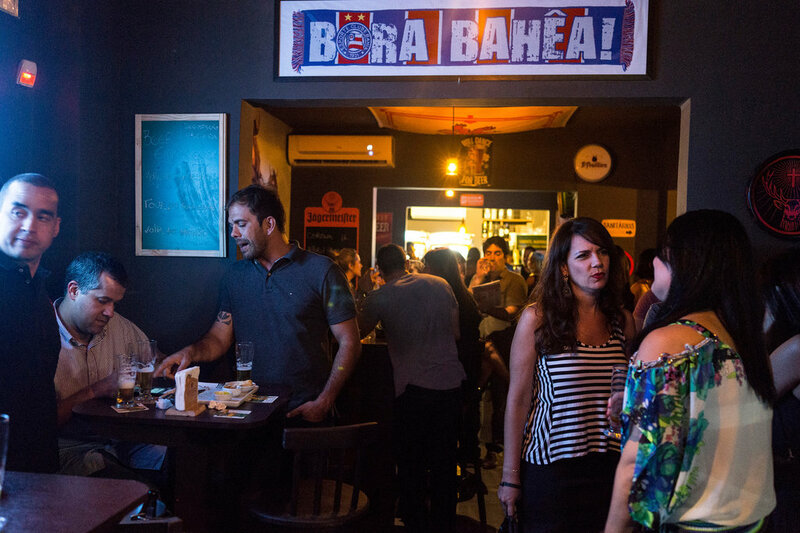 This boisterous year-old bar stocks some 250 beers, many from Brazil’s growing craft brew scene, such as Cervejaria Invicta’s Damiana, an I.P.A. made with fragrant Central American flowers. 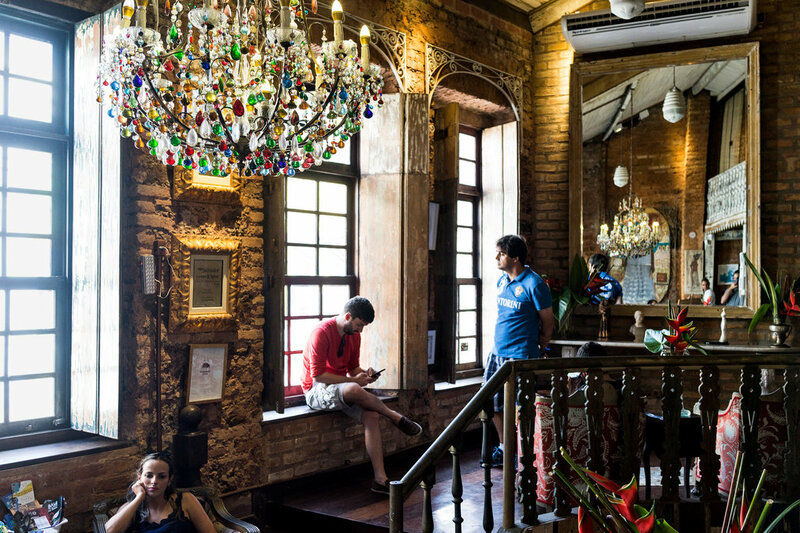 Live rock and blues bands and walls hung with soccer banners round out the classic pub setting.